Have you ever dreamed of spending a night inside a Disney theme park? 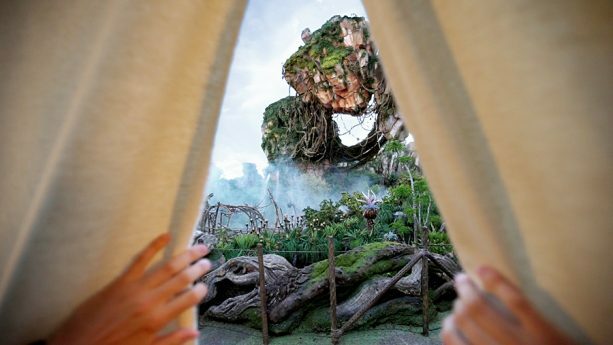 What about the opportunity to spend a night inside all that beauty that is Pandora inside Disney’s Animal Kingdom? You might win the opportunity to “glamp” in this beautiful space. By entering this new contest, you may be the person to win this amazing evening! Walt Disney World Resort just dropped the ultimate escape to your #HappyPlace and ‘Oh My Disney’ is giving you a chance to win it. An experience like none other, in a way that only Disney could deliver. 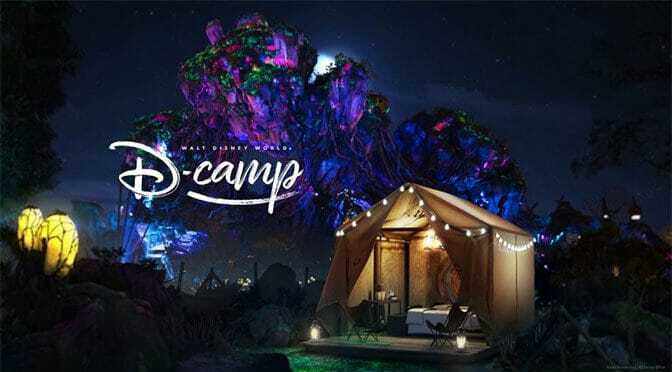 For the first and only time, one person and his or her plus one will get the chance to glamp under the floating mountains of Pandora—The World of Avatar, a catered, bespoke and FOMO-inducing experience. Check out disney.com/dcamp for more information on the prize details and how to enter. NO PURCHASE NECESSARY. Enter contest between 6/8/18 at 12:00 p.m. PDT and 6/21/18 at 11:59 p.m. PDT. Open to legal residents of the 50 U.S. States & D.C. who are 18+ at time of entry. Limit 1 entry per person. Finalists must be available to participate in a phone/Skype interview on either July 9 or July 10, 2018. GRAND PRIZE WINNER MUST TRAVEL JULY 28 – JULY 31, 2018. See Official Rules for full details on how to enter, eligibility requirements, prize description and limitations. Void where prohibited. Well, I entered and just used Windows Movie Maker. Maybe it won’t be the best edited, but I tried! You can’t win if you don’t enter. Meh, this is like a reality TV audition. Someone with a television star personality and professional video editing is going to win. My thoughts exactly… and we Canadians can camp, lol!! make it available for Canadians, next time!